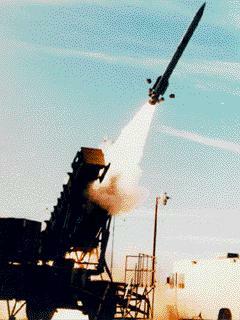 The ERINT program was part of the Strategic Defense Initiative's Theater Missile Defense Program. It was an extension of the Flexible Lightweight Agile Guided Experiment (FLAGE), which included developing hit-to-kill technology and demonstrating the guidance accuracy of a small, agile, radar-homing vehicle. At White Sands in 1987, FLAGE succeeded in scoring a direct hit against a Lance missile in flight. The Invite, Show, and Test program solicited off-the-shelf technologies for consideration in the TMD program. Promising technologies were tested at the White Sands Missile Range in New Mexico. A notable IST achievement in FY 1989 was the Extended Range Intercept Technology (ERINT) Program. ERINT's goal is to enable flight test vehicles to attain higher altitude and longer range intercepts through a more powerful radar, a larger booster, and a more lethal warhead. The Extended Range Interceptor was a follow-on to the FLAGE experiment. To create the ERINT engineers upgraded the design of the FLAGE adding aerodynamic maneuvering fins and attitude control motors, thereby extending the range of the system and abandoning the cumbersome 216 tiny solid rocket motors. Under the new guidance, this high velocity, hit-to-kill missile was to be used primarily against maneuvering tactical missiles and secondly, against air-breathing aircraft and cruise missiles. ERINT used a new solid-propellant rocket motor which allowed ERINT to fly faster and higher than FLAGE. The ERINT was 15.7 feet long, 10 inches in diameter and weighed about 700 pounds. Provisions for the Theater Missile Defense Chemical Flight Experiments (TMDCFE) were included in the proposed ERINT program to quantify theater missile defense (TMD) lethality against bulk chemical warheads in the TMD Bulk Chemical Experiment (TMDBCE) and against submunition chemical warheads in the TMD Submunition Chemical Experiment (TMDSCE). Destruction of warheads containing submunitions is a major challenge facing the program. A warhead that contains chemical or biological submunitions may be difficult to fully destroy because all of the submunitions would have to be destroyed at a sufficient range to prevent harm from them. Merely fragmenting the warhead in flight could (1) leave multiple submunitions traveling on a ballistic course that would allow them to fall in the area the system is supposed to protect or (2) release chemical or biological agents in a cloud that would disperse the agents in the area to be protected. Meeting this challenge will require high performance levels for aiming and maneuvering. The ERINT-1 Program, sponsored by the U.S. Army Strategic Defense Command, consisted of the design and flight test of a prototype missile and launch control system for defense against ballistic and maneuvering tactical missiles and aircraft and cruise missiles. The ERINT-1 Missile also has capability against air-breathing aircraft and cruise missiles. The technologies demonstrated by the Flexible, Lightweight, Agile, Guided Experiment (FLAGE) Program and previous ERINT Programs were utilized by the ERINT-1 Program. The performance of the missile is increased to provide intercept capability at higher altitudes and longer ranges than was previously demonstrated by FLAGE. The missile components are redesigned in order to provide packaging commensurate with the small, lightweight, agile missile concept while increasing missile performance. By 1992, the ERINT was undergoing flight tests at White Sands Missile Range, NM. The first Flight test of the Extended Range Interceptor (ERINT) was in June 1992. The next ERINT test flight was successful completed in August 1992. These two preliminary flight tests, which did not attempt to intercept targets, successfully met objectives. Plans called for eight additional tests in 1993. A third test failed to hit a ballistic missile target as planned but did achieve other objectives, according to project representatives. Early ERINT intercept tests were unsuccessful, but the problems were identified and several successful intercepts of theater ballistic missile targets and air-breathing drones were conducted. 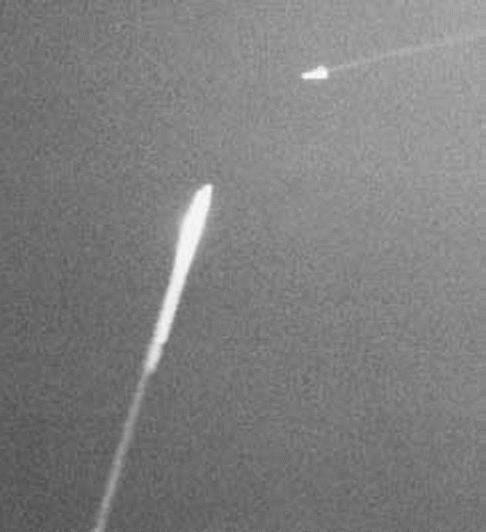 The remaining five ERINT tests, which would attempt to intercept targets, were to be completed by early 1994. ERINT successfully concluded preliminary testing with three successive direct hits on its targets. 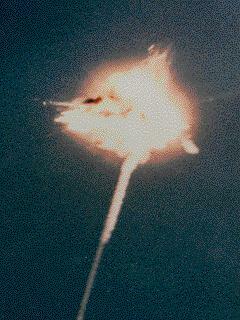 ERINT intercepted a Storm target which simulated a theater ballistic missile on 30 November 1993. During this flight test ERINT collided with and destroyed the warhead of a Storm target vehicle. The warhead contained a cluster of 38 pressurized, water-filled containers designed to simulate toxic chemical submunitions. 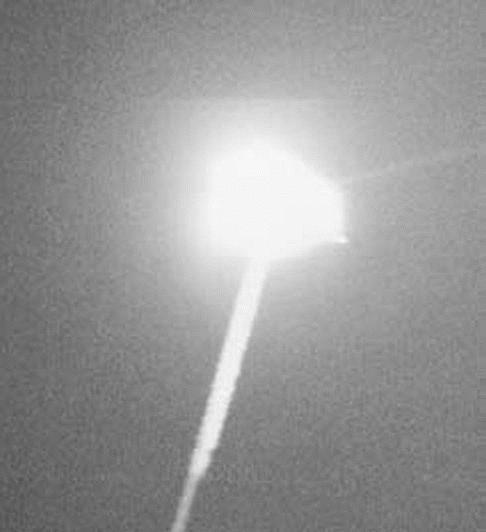 ERINT successfully intercepted a similar missile carrying a simulated unitary chemical warhead on 15 February 1994 at White Sands Missile Range, NM. Again the force of the impact destroyed the target. These intercepts took place six miles down range and six miles high. The enhanced lethality of ERINT against tactical ballistic missiles, especially those with submunition warheads, was a key element in the selection of ERINT as the missile of choice for PAC-3. Lastly, on 02 June 1994 ERINT completed its third straight successful test flight when it destroyed a drone. The purpose of the test was to demonstrate the accuracy of ERINT's guidance system against a maneuvering air-breathing target, such as a cruise missile. The success of the ERINT program, which built upon a foundation of hit-to-kill technology demonstrations, laid the foundation for the PAC-3 system. The ERINT was in direct competition to a Raytheon designed up-graded Patriot missile as the interceptor for the planned Patriot Advanced Capability (PAC-3) TMD system. The USASDC designed ERINT won out against the Raytheon missile because if its increased range, accuracy and lethality, all in a smaller package. The success of ERINT led to its selection on May 19, 1994, as the new missile for the PAC-3 (Patriot Advanced Capabilty-3) system which began fielding in 2001. The first developmental test flight of the PAC-3 at White Sands was conducted on Sept. 29, 1997.